In late summer 1889, my great-great-great grandfather Michael Pfenig and his youngest daughter Chaje made the trip from their small shtetl of Zmigrod (in what is now Poland) to New York City. They sailed via Hamburg on a ship called the SS Hammonia and arrived at Castle Garden (in what is now Battery Park) on September 1st. Michael was 50 years old; Chaje was 22. The first time I found the ship records of their journey — there is a German ship manifest written upon departure from Hamburg, and an American one written upon arrival at Castle Garden — it gave me the chills. I had never suspected that Michael had come to the United States; I thought my great-great-grandfather and his siblings were the first generation of Fennings (then Pfenigs or Fenigs) to live and die on the North American continent. It perhaps seems like a silly thing to get so excited about, but knowing this fact somehow made history feel shorter. It made me feel like my roots were closer than I had thought. I don’t know anything about Michael, apart from the fact that he was born around 1840 and is listed as a “dealer” in the ship manifests. He and his wife Esther Rassler (or Raphel – it isn’t clear what her maiden name was) had at least 5 children who came to the United States as young adults. 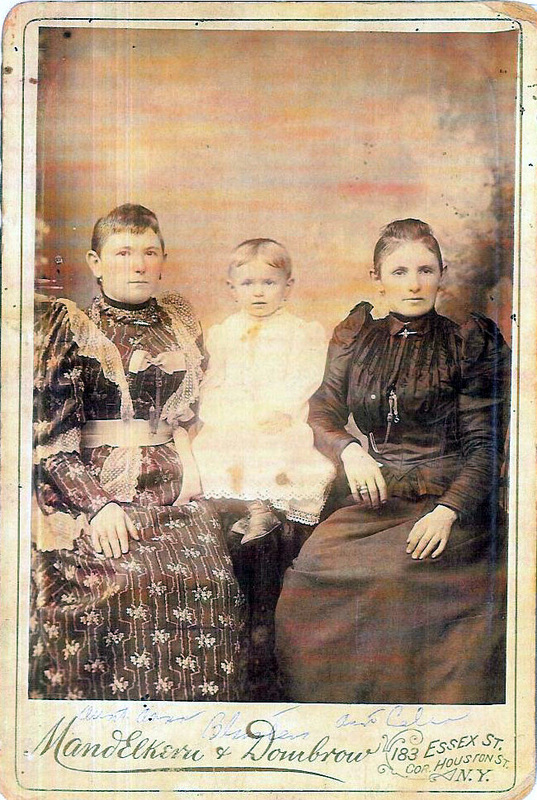 My great-great-grandfather Frank Fenning — who went on to be dapper, adorable and somewhat litigious — was one of them. Michael’s legacy lived on in the “M” names and middle names given to his children and grandchildren, but I have never heard any stories about him, which is a little bit strange for the erstwhile Pfenigs who are big tellers of stories. I have been unable to find a death record or any other mention of Michael after September 1, 1889. It’s possible his life in America took more turns than I can even imagine — after all, I never would have imagined him in New York in the first place — and I hope one day I can find the documentation that marks his path. * Pfenig entries, lines 56-57, SS. Hammonia, passenger manifest, 1 September 1889; Ancestry.com, accessed 3 February 2012. * Pfenig entries, lines 45-46, SS Hammonia, passenger manifest, arriving in New York 12 September 1889; Ancestry.com, accessed 3 February 2012.